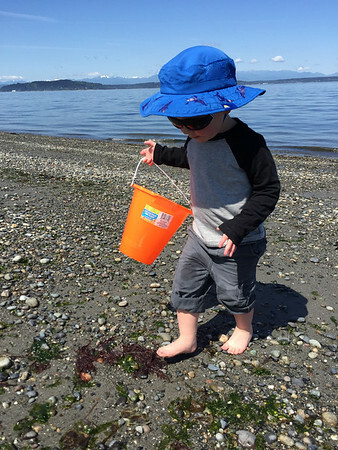 Sunshine and two very brave/partly crazy mama’s resulted in a very fun adventure. 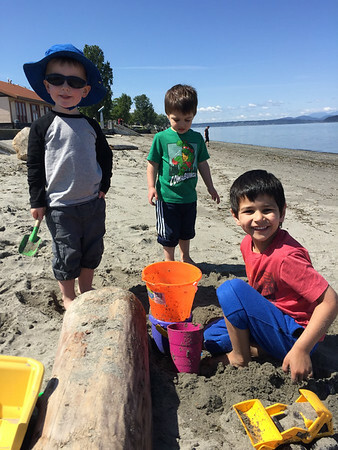 We really wanted to meet the newest member of the Mashruwala family and decided to give the boys a play to dig in the sand at the same time. 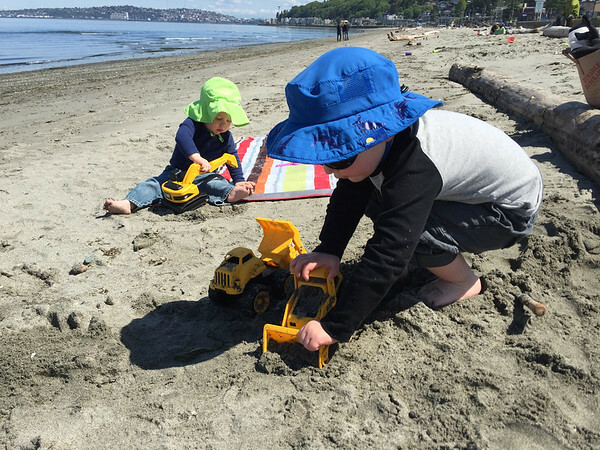 We met up at Alki beach where the boys loved digging holes and building sand castles. Cooper headed back from his water gathering trip. 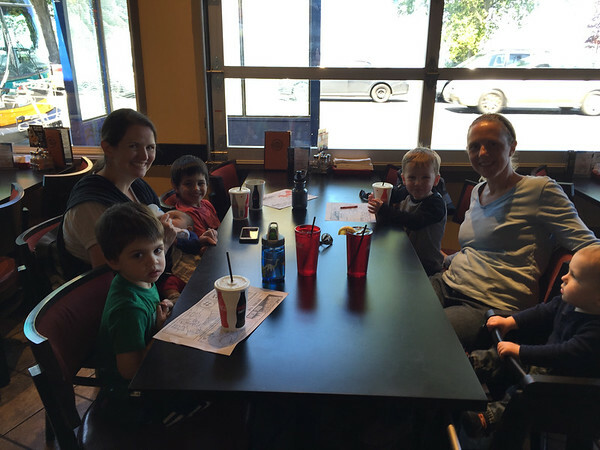 After the digging wrapped up we decided to be even braver and headed out to eat with 5 kids under 5. We walked to Fatburger and everyone did impressively well. We both know we were very lucky to have such success, but it also makes us want to try it again.